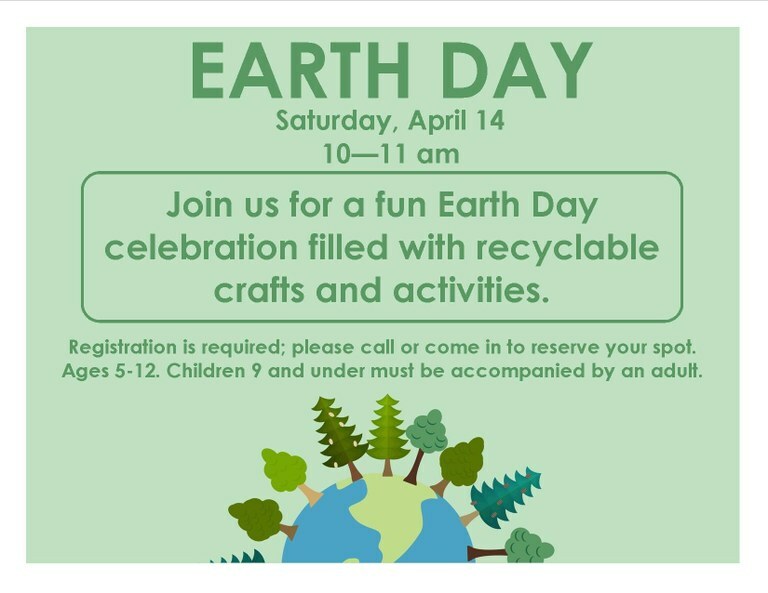 Join us for a fun Earth Day celebration filled with recyclable activities! Saturday, April 14 from 10-11 am. Ages 5-12. Children 9 and under must be accompanied by an adult. Registration is required; please call or come in to reserve your spot.